In a healthy individual on a good diet, sugar enters our system in the digestive tract, where it's absorbed from our food. It then passes through the intestinal walls and into the blood stream. Here, sugar molecules hook up with insulin, which essentially escorts it through the blood vessel membrane, into the interstitial fluid, through the cell membrane, and into the cell itself. The cells can then use the sugar for fuel. But when we eat a high-fat diet, a layer of fat lines the blood-vessel walls, our insulin receptor sites, as well as our insulin and sugar molecules, slowing our rapid sugar processing abilities down to a crawl and leading to increased blood sugar. The more fat you eat, the harder time sugar has in getting into a cell (4), meaning its stuck in your blood causing all kinds of problems. If you've got elevated blood sugar levels, or even diabetes, in most cases you can have normal readings and be free of the disease within a few weeks if you're willing to change your diet. If you eschew animal foods, fatty oils, and processed foods, your blood sugar should quickly normalize. It's more or less impossible to eat more than minimal amounts of meat, eggs, dairy, vegetable oils, or other fatty foods and keep your fat low enough for optimal blood sugar levels. Whole, low-fat vegan diets have had the most success in normalizing blood sugar levels. Sinfully delicious low-fat raw dressings can spice up your salad every night of the week without raising your blood sugar levels. In one recent study, diabetic patients on a low-fat vegan diet were able to drop their fasting serum glucose concentration 28% compared with 12% for a control group following the dietary guidelines of the American Diabetes Association. The vegan group also lost more weight and lowered their cholesterol by a greater degree (5). The blood sugar drops these low-fat diets bring about are so impressive that patients are usually able to discontinue medications and insulin injections within weeks. After only 26 days, patients in another diet studying an almost-meatless, low-fat diet and exercise regime, largely ditched their medications. In all, 21 of 23 patients on oral medications and 13 of 17 patients on insulin were able to get off of their medications (6). So how much fat is low fat? The number of calories coming from fat that generally brings about the best results in studies is 10 percent, a number that corresponds with a wide variety of other good health parameters. Fruit, which is certainly rich in sugar, has often been criticized as being among the causes of high blood sugar, but this is simply not the case. That sugar is the fuel we need. It's only the fat we eat, not the fruit, that causes the sugar to stay in the blood. Even the American Diabetes Association, which promotes a short-sighted diet that does not reverse diabetes, praises fruit and does not suggest its restriction (7). What's more, fruit is a proven diabetes fighter. Adding a mere three servings of fresh fruit a day to a person's diet has been shown to decrease diabetes risk by 18 percent (8). Leafy green vegetables have also been shown to have a big impact. Pooled data from four studies determined that eating a mere 3.5 cups of raw leafy greens a day provided a 14% decrease in diabetes risk (9). You do not have to suffer from high blood sugar, type 2 diabetes, candida, or any other associated problems. Suffering from these conditions is a choice, and an easily-reversible one. Want the best way to reverse your diabetes and lower your blood sugar? Start a low fat raw vegan diet filled with man's original foods. Interested in how the same causes of high blood sugar wreak havoc on the rest of the body? Read this article. Learn more about raw food nutritional topics. 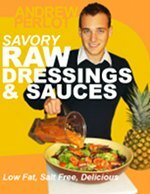 Learn how to make healthy, low-fat raw vegan salad dressings that won't mess with your blood sugar. 1) Joslin EP. Atheroscleriosis and diabetes. Ann Clin Med 1927;5:1061. 3) Type 2 diabetes--time to change our approach. Lancet, 2010. 375(9733): p. 2193. 4) Peterson KF, Dufour S, Befroy D, Garcia R, Shulman GI. Impaired mitochondrial activity in the insulin-resistant offspring of patients with type 2 diabetes. N Engl J Med. 2004;350:554-671. 5) Barnard, N. D., Cohen, J., Jenkins, D. J. A., Turner-McGrievy, G., Gloede, L., Jaster, B., Seidl, K., Green, A. A., & Talpers, S. (2006). A Low-Fat Vegan Diet Improves Glycemic Control and Cardiovascular Risk Factors in a Randomized Clinical Trial in Individuals With Type 2 Diabetes. Diabetes Care , 29 (8), 1777-1783. 8) Bazzano, L.A., et al., Intake of Fruit, Vegetables, and Fruit Juices and Risk of Diabetes in Women. Diabetes Care, 2008. 31(7): p. 1311-1317. 9) Carter, P., et al., Fruit and vegetable intake and incidence of type 2 diabetes mellitus: systematic review and meta-analysis. Bmj, 2010. 341: p. c4229.